I spent summers in Vermont as a teenager, and every year when spring arrives I have this unreasonable yearning to head back to the Green Mountains. I say "unreasonable" because at the moment I live in southern California, and there are few places less convenient to Los Angeles than Vermont. If you live in New York, or Connecticut, or Boston, or even New Jersey, you can buy a place in Vermont, head up one or two weekends a month, spend longer periods during July and August. If you live in Los Angeles and have a full-time job, summering in Vermont is out of reach. And still, every May and June I spend evenings sorting through Vermont real estate listings, trying to find the perfect house on the perfect stream, walking distance from the perfect picturesque village where the kids and I can walk down to the country store for penny candy and ice cream. It doesn't have to be a big house, and it doesn't have to have a lot of land. Just a front porch for rockers or a swing, a few craggy apple trees, and that wet, green-grass smell you only find in Vermont at dawn and dusk. Vermont's appeal for me is largely nostalgic, but the state's recent foodie explosion is a big draw, too. Dairy farmers have made cheese in Vermont for centuries, mostly cheddar, sturdy and predictable. 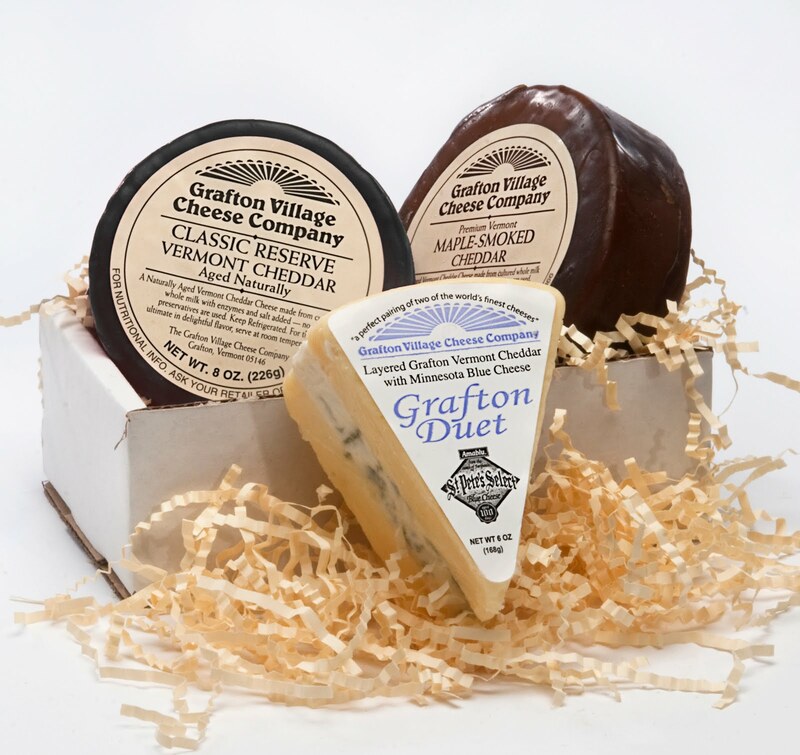 But now there's an artisan cheese movement afoot in Vermont. Cheesemakers are turning out small-batch cheeses made with local cow, goat and sheep milks, using mostly French methods, and they're bringing home award after award. One goat dairy that's gotten a lot of attention is Consider Bardwell Farm. Tucked away on a back road in southwestern Vermont, Consider Bardwell is the realization of the dreams of a professional urbanite who, like me, yearned to escape the big city and find her little corner of green. Except, unlike me, her crazy dreams included goats. Lots of them. Angela Miller is the mother of a friend of a friend - a distant connection, but enough to get me in the front door for a look around. She meets me by the road and walks me around the pens. These are Oberhasli goats, eager and friendly as puppies. Angela calls them as we approach the fence and they crowd around, asking for attention, nuzzling our hands, nibbling at my shirt. I'm not really an animal person - too allergic - but Angela clearly sees these goats as her kids (pun intended). They look like fun, but oh, boy, they are a lot of work. Even if you only read a few chapters of Angela's memoir, Hay Fever: How Chasing a Dream on a Vermont Farm Changed My Life, you will come away with a deep understanding of just how crazy was her dream of raising goats and making cheese in Vermont. Especially while maintaining her high-powered, high-profile literary agency in New York. Equipment broke down. Goats got sick. Cheesemakers and farm workers left, came back, left again. The cheese got great reviews, but selling it in the depths of recession proved challenging, nigh impossible. And every morning, every night, the milking. Clients need attention, meetings get scheduled, deals need to be done, and yet the seasons come and go, years come and go. The goats can't wait. The cheese must be made. We walk around around the farm, talking about goats, cheese, marriage, Vermont, New York, children. Angela is soft-spoken, hesitant, not someone who seems to like the spotlight. I know she doesn't play tour guide at Consider Bardwell very often, and I'm grateful for her time. But I get the feeling she'd rather be with the goats. We go inside the dairy to watch master cheesemaker Peter Dixon at work. He and the other cheesemakers are "hooping" - scooping the curds out of the whey and packing them into cheese molds. The liquid drains out as the cheese is pressed, readying it for aging. It's hot and damp inside the dairy, and the floor is wet. It smells a little sour, a little salty. You taste warm milk when you inhale. Then we walk through the aging rooms. Big, climate-controlled, stainless-steel closets - that's what they look like to me. There is cheese everywhere: big, small, tan, white. Most is goat cheese from the farm's herd, but some is made from the milk of Jersey cows who live nearby. I know it's a ridiculous thought, but all I want to do is sit in the chilly steel closet and watch the cheese age. It feels peaceful, wholesome, nurturing. Also, it smells like cheese. I buy a few wedges of Consider Bardwell cheese to take to the friends I'm visiting in the Berkshires. We taste them that night and love Dorset, a washed-rind raw cow's milk cheese; Mettowee, a fresh goat's milk cheese named for a nearby river; and Manchester, an aged, raw goat's milk tomme, firm and creamy. Does cheese taste better when you've watched the goats walk to the barn to be milked? When the girls have licked your fingers and chewed on your clothing? I think it does. Note: I highly recommend Angela's memoir (Hay Fever: How Chasing a Dream on a Vermont Farm Changed My Life ). It didn't cure me of my Vermont spring fever, but raising goats has dropped on my lifetime list of priorities. 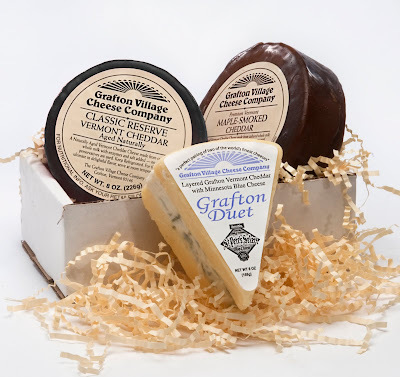 If driving country roads and visiting artisan cheesemakers sounds like your idea of fun, visit the Vermont Cheese Council's website, especially their Vermont Cheese Trail Map - many of the cheesemakers welcome visitors and give tours. 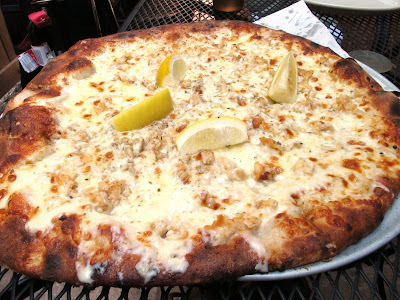 This is my entry for the second round of Project Food Blog, Foodbuzz's contest to find the next food blogging star. Today's challenge: Tackle a classic dish from another country. Watch for details on voting. I'll be asking for your help. When you marry into a family, you acquire all sorts of things. In my case, in addition to the promise of a long life with the man I loved, I got a new last name, two wonderful "other parents," the sister I'd always wanted, and a set of very old sterling flatware that had traveled from Hungary a few pieces at a time in dozens of suitcases over nearly 20 years. I also married the concept of dessert after breakfast. Needless to say, I consider myself quite lucky. My in-laws left Hungary in 1956 during the Hungarian revolution. They are fully Californian now, and according to my husband, they don't even speak English with accents (love, in addition to being blind, is apparently somewhat hard of hearing). But even after all these years, my mother-in-law's cooking still favors the Hungarian. Over the years I've tasted paprikas csirke (chicken with paprika), korozott (a spread of soft cheese, paprika and caraway seeds), lecso (a stew of Hungarian peppers and sausage), and szilvas gomboc (potato dumplings stuffed with plums and rolled in breadcrumbs). They're all interesting, with the exception of the korozott, which I'll admit I've never learned to love. But my mother-in-law's go-to family dish is palacsintak, thin pancakes stuffed with sweet or savory fillings. Every cuisine has its pancakes, and these are Hungary's. 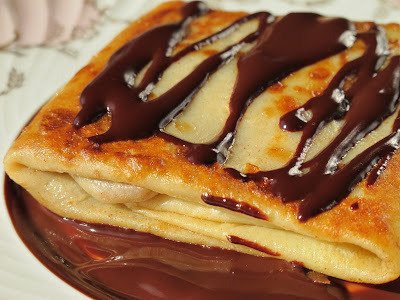 They're similar to French crepes, although the batter is simpler and less rich. We've had family dinners where the main course was palacsintak filled with meat and spinach, and dessert featured the same pancakes filled with chocolate and nuts. When my kids visit their grandparents, it's palacsintak they request. Michael and I traveled to Hungary once about 15 years ago. It was early spring, the end of chestnut season. While chestnuts in the U.S. seem to appear only in Christmas stuffing, in eastern Europe they are celebrated and glorified as dessert. Several times on our trip we ended our meals (or ruined our appetites) with large bowls of gesztenye pure, pureed cooked chestnuts mixed with sugar, vanilla and rum, then pushed through a ricer into fluffy piles atop clouds of whipped cream. No one loves chestnuts like Hungarians. 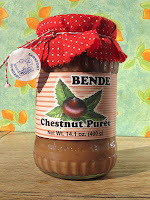 My in-laws have brought me sweet, rum-laced chestnut puree from their various trips. Somehow, I never think to use it. But when I decided to tackle palacsintak for this Project Food Blog challenge - a dish which, up to this point, I've left to my mother-in-law - I dug around in the pantry for a jar. 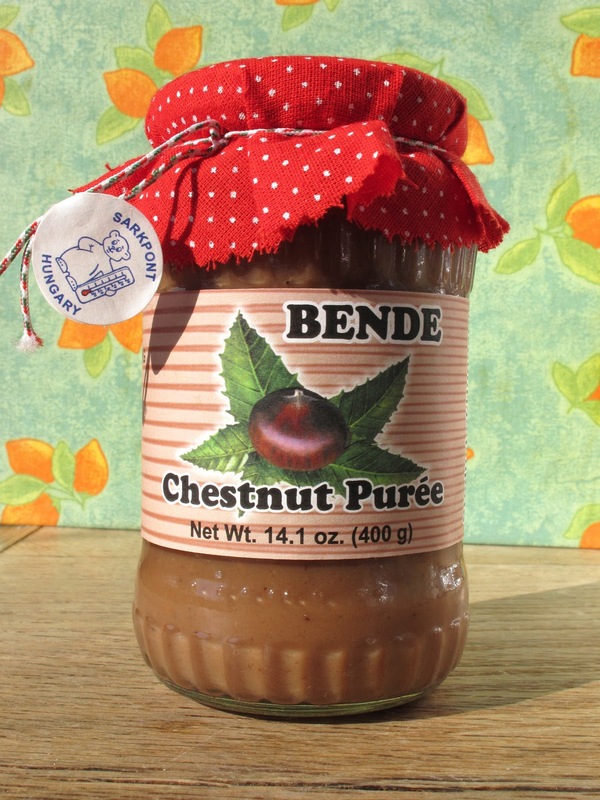 Chestnuts, a classic Hungarian filling; chocolate sauce, the perfect complement. Time for breakfast. Make the pancakes: Heat a nonstick skillet over medium heat. Stir the sparkling water into the batter - you want to do this right before you start making the pancakes. Spray the hot skillet with cooking spray and quickly ladle in a scant 1/4 cup of batter. Pick up the skillet and tilt it so the batter swirls around to coat the entire bottom of the skillet. Keep swirling until the batter is set and no longer runs. Put the skillet down and cook until the edges of the pancake start to lift up, about 30 seconds. Carefully, with a spatula (or your fingers if you're brave), pick up the pancake and flip it. The cooked side should be slightly browned, but barely. Cook the other side for about 20 seconds, then slide onto a plate or cutting board. Repeat with the rest of the batter until you have a stack of thin pancakes. Make the filling: In a small bowl, mix together the chestnut puree, 3 Tbsp milk, and the rum until the mixture is smooth. It should be the consistency of hummus; if it's too thick, add a little more milk. Make the chocolate sauce: Put the chocolate chips and 2 Tbsp milk in a glass or Pyrex measuring cup. Microwave 30 seconds, let stand 30 seconds, then stir. If the chocolate isn't completely melted, microwave for another 20 seconds. Stir until smooth. Assemble the palacsintak: Spread about 1 Tbsp chestnut filling in the center of one pancake. Fold in all four sides to make a square package: top, bottom, left, right. Repeat until all pancakes and filling are used. You can make the pancakes up to this point a few hours ahead and keep them in one layer on a baking sheet covered with plastic wrap in the refrigerator. When you're ready to serve, heat the butter in the same nonstick skillet. Place the square pancake packages in the skillet and brown in the butter a minute or two on each side, just until they turn golden brown and crispy around the edges. 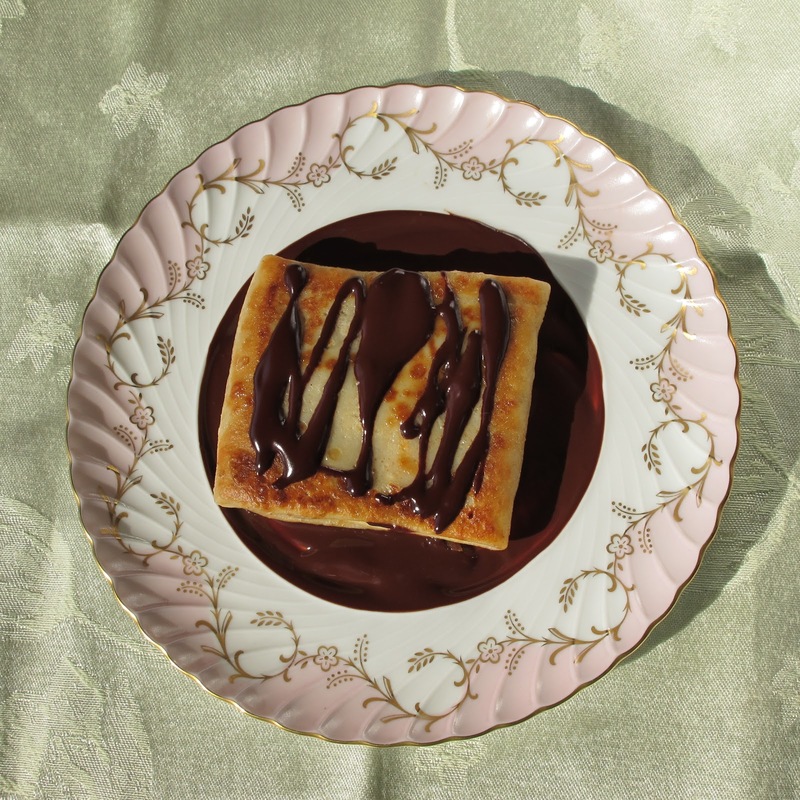 Put the palacsintak on a plate and drizzle with chocolate sauce. Serve immediately. When my kids were younger, my parents came to visit us in California several times a year. Most of the time they came together. In 2003, however, my dad made a solo trip to see us. The kids were really little - four and one - and my dad missed them terribly in the months between visits. He was an extremely active grandpa. When Grandpa Paul was around, my kids were laughing from the minute they got up until they fell asleep listening to one of his stories at bedtime. 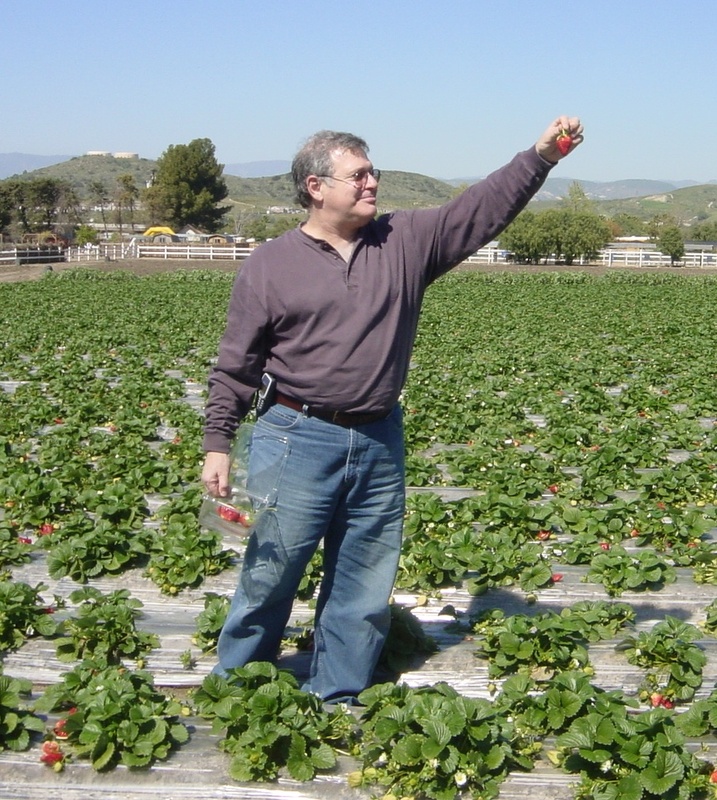 During the week Daddy was visiting we took him to Underwood Family Farms in Moorpark, where we trekked through the strawberry fields and picked pint after pint. He carried little Weston on his shoulders most of that day. I'd never seen him happier. Today is the second anniversary of my dad's death. I'm not great with dates - I forgot my own first wedding anniversary - and it's not like a number on the calendar is going to make me think of Daddy any more. I think about him all the time, every day, nearly every hour. But now that the day is coming to a close, I'm realizing that I do want to mark it in some way. And so I'll share with you one of my dad's favorite recipes: my black bean soup. Daddy loved beans, any beans, all beans. My mom didn't make them at home because she doesn't particularly like them and she didn't particularly enjoy the effect they had on my father ("Beans, beans, good for your heart - the more you eat, the more you..." he'd chant with a grin). So when he came to visit, and sometimes when I went to their house in New York, I'd make black bean soup. In the last year of his life, when he was ill and eating became more chore than pleasure, I made bean soup, lentil soup, chili - all the things he loved - and packed them into small containers, with which I filled their freezer. Two years later, my mom still has a few servings of this soup left. Bon appetit, Daddy. I miss you. In a large pot, heat the olive oil. Brown the sausage meat, breaking it up with a wooden spoon into small pieces as it cooks. Add the onion, celery, carrots, and bell peppers, and saute until softened, about 5 minutes. Add the garlic, sprinkle with salt, and saute one minute more. Add the beans, tomatoes, chicken stock, water, and spices to the pot. Bring to a boil, turn down the heat, cover the pot, and simmer gently about 2 hours, until the beans are soft and the flavors have blended. Puree the soup in the pot with an immersion blender in bursts, leaving it a little chunky. Serve hot garnished with shredded cheese, sour cream, diced avocado, crushed tortilla chips, or croutons. I met the pomegranate enthusiasts from POM Wonderful the other night at a cocktail party they sponsored for Social Media Week. 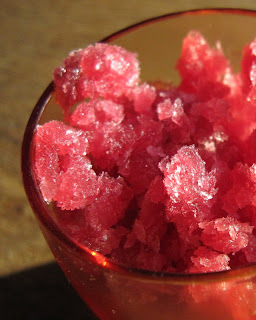 It got me thinking about this delicious and dead simple pomegranate juice granita. The recipe first appeared about a year ago in my LA Cooking Examiner column and has consistently been one of the most popular over there. In our house, granita is a joint effort. I go to bed early, while my husband is a night owl. He likes granita so much that if I mix it up and get it started before I turn in, he'll happily stop what he's doing every half hour to stir it up until the wee hours. His granita efforts are much appreciated: The regular stirring makes the crystals light and fluffy, so you really feel like you're eating flavored snow. For me, the hardest thing about making granita is clearing room in my freezer for a shallow baking pan. If your freezer looks anything like my freezer...well, it probably does. The only person I know whose refrigerator, freezer and pantry are uncluttered is my friend Julie (hi Jules!). I don't know how she does it. Anytime I look in her refrigerator there are maybe 10 things in it. Apparently she has absolutely no hoarding tendencies in the kitchen. I'm in awe. Granita is a perfect dessert when you want something sweet and delicate. It keeps in an airtight container in the freezer for a few days. If it hardens, just stab it with a fork to fluff it up before serving. Whisk together the juices and sugar. Pour into a shallow metal baking dish and place in the freezer. Every 30 minutes, remove the dish from the freezer, scrape the ice crystals from the side and bottom of the pan, and return to the freezer. The granita will go from liquid to slushy to snowy; the whole process will take about 2 hours. When the granita has the texture of soft snow, move to a container and store in the freezer. Fluff and scrape with a fork before serving. Voting for Foodbuzz's Project Food Blog challenge #1 is now open. I'd be grateful for your support. And that's all I'm saying. Click here to vote for me. And thanks. I didn't learn to cook at my mother's feet. My mother is a serviceable but disinterested cook who got dinner on the table but never enjoyed a minute of it. My grandmother had a small but tasty repertoire: stuffed cabbage, chicken fricassee with tiny meatballs, and matzoh ball soup, though I found out in my twenties that the broth was Lipton's. I don't specifically remember being excluded from the kitchen, but I wasn't specifically invited in, either. The first meal I remember making was for 15 people during my senior year of college. I belonged to a "secret society" that met for Sunday dinner. George Bush's society had a stone building with no windows where, legend had it, butlers served dinner on fine china to young men wielding antique silver flatware. My society had a run-down house at the edge of campus where we took turns cooking in the grimy, ill-equipped kitchen and ate off plastic plates. When it was my Sunday, I got my mother's recipe for sesame chicken. It was just her speed: You roll the pieces in melted butter, coat them with seasoned breadcrumbs and sesame seeds, and bake. For dessert I made a vat of applesauce, heavy on the cinnamon, with apples I'd picked at a nearby orchard that morning; I served it over vanilla ice cream. As the other members walked in the door, I saw their noses lift; the house had never smelled that good. I didn't fit in with the group - meetings involved lots of beer, and even then I wasn't much of a drinker - but that night they liked me quite a bit. After that I was hooked. Spend time cooking and people will shower you with compliments and want more of you the next day? Yes, please. I spent my twenties in New York shopping at the Union Square Greenmarket, along the sidewalks of Chinatown, and in the ethnic markets (mostly gone now) along lower Ninth Avenue. I brought home goat meat, rye flour, Chinese vegetables whose names I never learned. In my tiny kitchen I learned to bake bread, cooked Thanksgiving dinner the year my parents abandoned me for a Caribbean cruise, made an all-pink menu (tuna salad with beets, anyone?) for my future sister-in-law's bridal shower. Now I live in southern California with my husband and sons. My kitchen is bigger and busier. I feed my family, friends, acquaintances, sometimes strangers. We host dinner on the first night of Rosh Hashanah for 25, Passover seders for 35, school parties for 50, 13-course truffle dinners for 75. I love a crowd gathered in my dining room, snatching canapes as fast as I can set them out. I love watching kids who never eat vegetables eat vegetables at my table. I love that my kids stand with me at the counter, chop the figs, peel the cucumbers, pit the plums, stir the soup. I started writing In Erika's Kitchen in 2008, after getting sick of my mother asking, "When are you writing a cookbook already?" I'm writing about my life in my kitchen, my family's life in our kitchen, to create a record of the flavors of my kids' youth, so they can recreate them for their own families someday. I have lucky food blogger friends who inherited hundreds of precious family recipes from generations past. I don't have that, but my kids will. I've also found that writing about food is better than therapy. As a working mom, I spend my life multitasking and juggling. When I'm writing, I'm focusing on one thing. Working on a post about banana chocolate chip bread pudding, I concentrate on the story: It needs a beginning, a middle, and an end that leads neatly into the recipe, all in three or four paragraphs. And the recipe: How many eggs did I use? Was the oven at 350 or 375? Fifty minutes or an hour? I'm careful with recipes; readers tell me they're clear and they work, which makes me happy. When I'm done and hit "publish" I feel as renewed as if I'd had a nap. Blogging has brought me amazing opportunities. 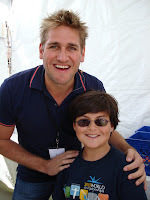 I've decorated cakes with Kelly Ripa and the Cake Boss, interviewed Alice Waters, and watched Curtis Stone show my star-struck son around his kitchen. I've talked pie on National Public Radio's "Good Food," contributed to a best-selling cookbook, made guacamole with the Too Hot Tamales, rubbed elbows with movie stars at hot restaurant openings, and gotten up the nerve to audition for The Next Food Network Star. Another amazing thing: new friends. A conversation on an airplane leads to lunching on Trinidadian stew chicken with flight attendants on layover. Food Bloggers Los Angeles (FBLA), the networking group I co-founded in 2009, meets for monthly potlucks. 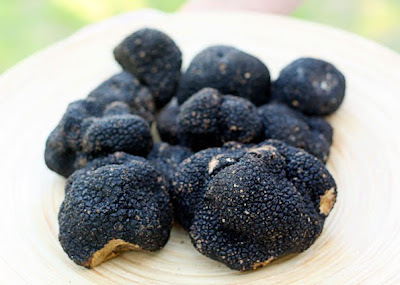 Without my food blogger friends, I could not have pulled off this year's Trufflepalooza; they came hours early to prep, assemble, stir and serve. But most amazing: watching my boys catch the bug. 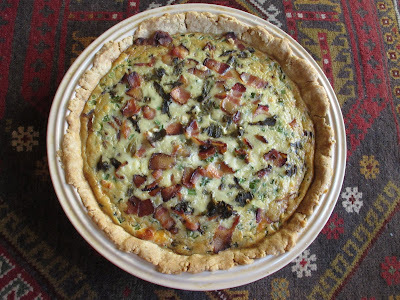 Emery, my 11-year-old, has written original recipes (one of which was featured on Steamy Kitchen), and has guest posted on my blog. Weston, at eight, emailed everyone in his address book his guacamole recipe. The boys and I will be cooking together for a long time. Between my blog and my LA Cooking Examiner column I've written more than 500 posts and 300 recipes in 20 months. Factor in my full-time job, my family, and our open-door dinner policy, and even I'm not sure how I've done it. Do I have enough for that cookbook my mother keeps mentioning? I'm working on it. Meantime, I'm doing something I love, meeting wonderful people, and keeping my family and friends well fed. Life is good. 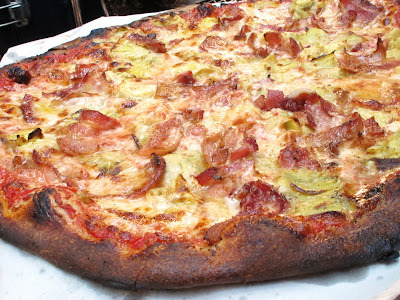 Yesterday I wrote about the Hatch green chile and bacon pie I entered in the Savory category of the KCRW Good Food pie contest. Here's the other pie I made for the contest: figs, goat cheese, rosemary and Meyer lemon. I entered this one in the Fruit category, although I guess the goat cheese could have put it in the Creamy category instead. 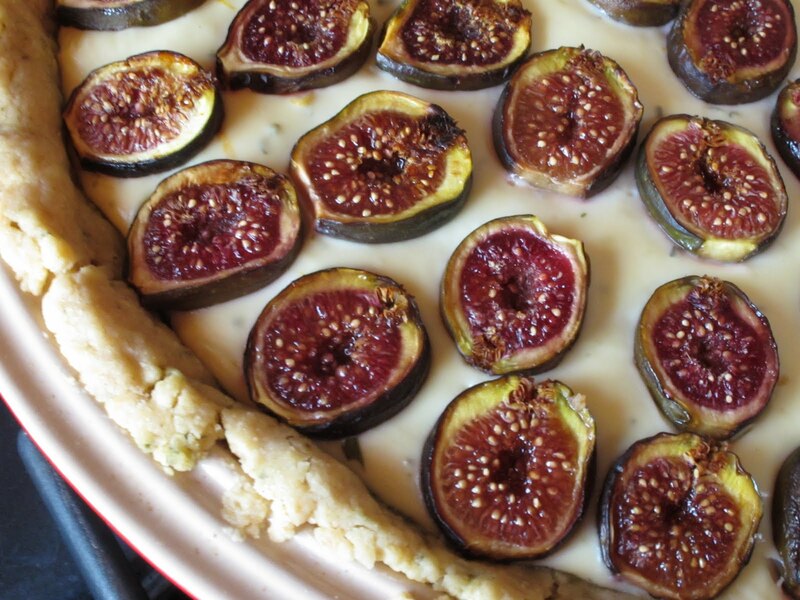 I've written before about my obsession with figs, and the various fig recipes I've honed over the years (fig cake, fig salad, peanut buttter and fig jam bars). 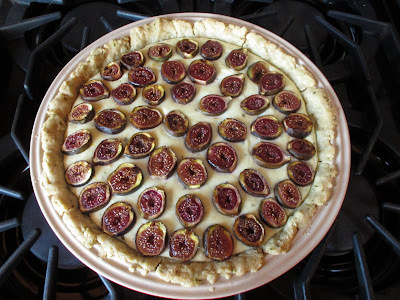 I first made a version of this fig pie with goat cheese last year, at which point I called it a tart, put the goat cheese layer on the bottom, and piled fresh chopped figs on top before baking it. The tart, pie, whatever, tasted great, but I thought the top layer was too wet. Still, my coworkers devoured it when I brought it into the office, so I knew I had the basics right. This year I made the pie in three layers instead of two. I made a quick fig compote and spread that about an inch deep on the partially pre-baked crust. Then I made a looser goat cheese custard - two eggs, a little cream - and spread that thickly over the compote. On top I arranged halved figs which I'd broiled with a little raw sugar on top. I hoped that broiling them first would do two things: first, concentrate the flavors (check); and second, keep the figs from bleeding pink juice onto the white goat cheese custard (check, mostly). 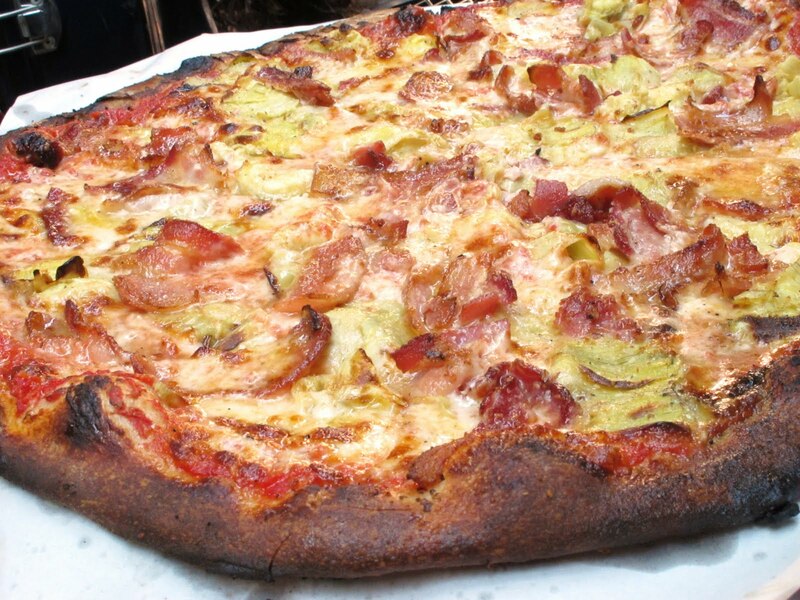 Like my Hatch green chile bacon pie, this fig pie didn't make it to the finals of the contest. But it was a hit with the crowd. Lots of people stopped to take pictures and admire it, and like the Hatch pie, it was gone within a few minutes. I may lack competitive spirit, but frankly I don't care that it didn't win. This was an extremely personal pie. 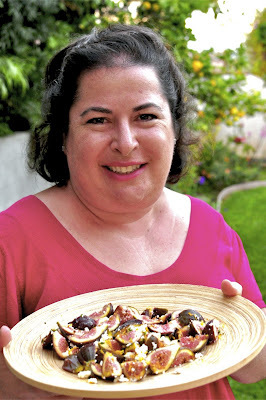 I picked the figs, I grew the Meyer lemon and rosemary, and I created the recipe. It was 100 percent me. Make the fig compote: De-stem and roughly chop 1 pound of the figs. Put them in a saucepan with 1/3 cup of the raw sugar, half the Meyer lemon zest, half the Meyer lemon juice, and 1 tsp rosemary. Stir and let sit at room temperature about 30 minutes; the sugar will draw out the juices from the fruit and create a syrup. Put the saucepan over medium heat and bring to a boil. Turn down the heat (otherwise the compote will burn) and simmer the fig mixture until the fruit is soft and the juices have thickened, about 30 minutes. Set aside to cool. While the compote is simmering, broil the figs for the top of the pie: Preheat the broiler on high. Cut the rest of the figs in half vertically, lay them on a baking sheet cut side up, and sprinkle with 1 Tbsp of the raw sugar. Broil about 5 minutes, until the fruit is starting to brown around the edges and looks slightly shriveled. This time is approximate - it will depend on how juicy or dry your figs are when you start. Watch them carefully so they don't burn. Set the broiled figs aside to cool, and turn the oven to 400 degrees. Make the crust: In your pie plate, combine the flour, remaining 1 tsp raw sugar, remaining 1 tsp rosemary, and salt with a fork. In a measuring cup, stir together the olive oil and 1/3 cup cream with the same fork. Pour the wet ingredients into the flour mixture in the pie plate and bring them together with the fork until they are just combined and clump together. Now use your fingers to press the dough over the bottom and up the sides of the pie plate. Don't worry if the edges look rough; that's okay, even desirable. Line the dough with foil and fill it with pie weights or dried beans. Bake the crust about 20 minutes, until the edges are starting to color. Remove the crust from the oven and set aside for a few minutes to cool a little. While the crust is pre-baking, mix the goat cheese, eggs, 3 Tbsp cream, remaining lemon zest, and remaining lemon juice in a bowl until smooth. You'll have to work it a bit to get the goat cheese loosened up. The goat cheese mixture should have the texture of thick whipped cream - not quite pourable, but definitely spreadable. Now assemble the pie: Spread the compote on the bottom of the crust about an inch thick (you may have leftover compote, which is a good thing, because it's outrageous over vanilla ice cream). Pour the goat cheese mixture over the compote and spread it smoothly with a spatula. Arrange the broiled fig halves cut side up over the custard in whatever pattern you like, or no pattern at all - just because I was feeling structured that day doesn't mean you have to. Bake the pie at 400 degrees about 45 minutes, or until the goat cheese custard is set and the figs on top look caramelized. Let cool thoroughly before serving. Until I moved to California in the mid 90's, the Jewish holiday celebrations just happened. I was single and living in New York, near my family. As the holidays approached, I'd ask my mother where we were going for Rosh Hashanah, Yom Kippur or Passover, and she told me. We gathered at my grandparents' house in Queens, my parents' house on Long Island, or my aunt and uncle's house near Kennedy Airport. I was young, not quite a grownup. Wherever my parents went, I went. The holidays were not my responsibility. After I moved west, it took me a good five years to realize that if I wanted to celebrate the Jewish holidays, I was going to have to take some action. My husband is technically Jewish but grew up in a house with a Christmas tree and Easter baskets. He had no Jewish holiday traditions. I had only a few, all involving food. So I started inviting people, and cooking, and pretty soon we were hosting Passover seders and Rosh Hashanah dinners for 35 every year. Now I look forward to spending the holidays with the friends who have become my de facto extended family. The posse of kids, taller each year, runs around in the backyard until it's time to eat. Everyone brings a dish to lighten my load. It's not about religion - more culture and tradition and taking a break to enjoy one another's company. This year Rosh Hashanah snuck up on me. I was traveling in New England for the weeks right before school started, and the holidays came very early this fall. A week before Rosh Hashanah, I realized I'd made no plans and invited no one. But here's what happens when you start the tradition: Everyone assumes it's happening, whether you say so or not. No one had made other plans. And despite the fact that school just started, the holiday fell on a weeknight, and I've been buried at work, we had a wonderful holiday dinner: traditional round challah, apples dipped in honey, fig salad, cabbage salad, tabbouleh, roast chicken, sweet potatoes, potato kugel, noodle kugel, and brisket braised in pomegranate juice. Brisket is a relatively new addition to my Jewish holiday menus. I like beef as much as the next girl, but the pot roast my grandmother made for holiday meals never thrilled me. I think she used the Lipton onion soup mix method. I remember the meat being tender and salty. Really salty. That is not a pot roast I wish to recreate. In past years I've made fesenjan for Rosh Hashanah. Fesenjan is a traditional Persian stew of lamb or chicken simmered with pomegranate juice and thickened with ground walnuts. I use ground almond meal instead of walnuts and add a little cinnamon for warmth. Served over rice or couscous, this is one of my favorite holiday meals. But this year one guest had a nut allergy, so I had to improvise. I bought brisket instead of stew meat and married the pomegranate flavor of the fesenjan with the onion spirit of my grandma's pot roast. I crossed my fingers, said a little prayer, and cooked it in my new slow cooker instead of in the oven. In a word: delicious. This will definitely show up on my holiday table again. Pour the pomegranate juice into a saucepan and bring to a boil over medium-high heat. Let the liquid reduce by a third. Meantime, heat a large, heavy skillet over high heat. Sprinkle the brisket with the salt and brown the meat well on both sides, one piece at a time. Place the browned brisket in the slow cooker. To the same hot skillet, add the olive oil and the onions. Saute about 5 minutes, until the onions are softened and starting to brown around the edges. Pour the onions into the slow cooker on top of the meat. Now add the reduced pomegranate juice, beef broth concentrate, tomato paste, cumin, brown sugar and dried cranberries to the slow cooker. Use a wooden spoon to mix everything up just a little. Put on the top and cook on low for 8 hours, after which the meat will be fall-apart tender and the house will smell heavenly. Remove the meat from the liquid and reserve on a plate. Pour the liquid into a saucepan, blend it smooth with an immersion blender, and reduce it by one-quarter to intensify the flavors. Check for seasoning and add salt if needed. Slice or shred the meat and serve with the sauce poured over. A note about brisket: It is much easier to slice when cold. I cooked mine overnight the night before the holiday; finished the sauce, then put the meat and sauce in the refrigerator (separately) in the morning; sliced the meat when I got home from work; and reheated it with the sauce in the slow cooker before dinner. 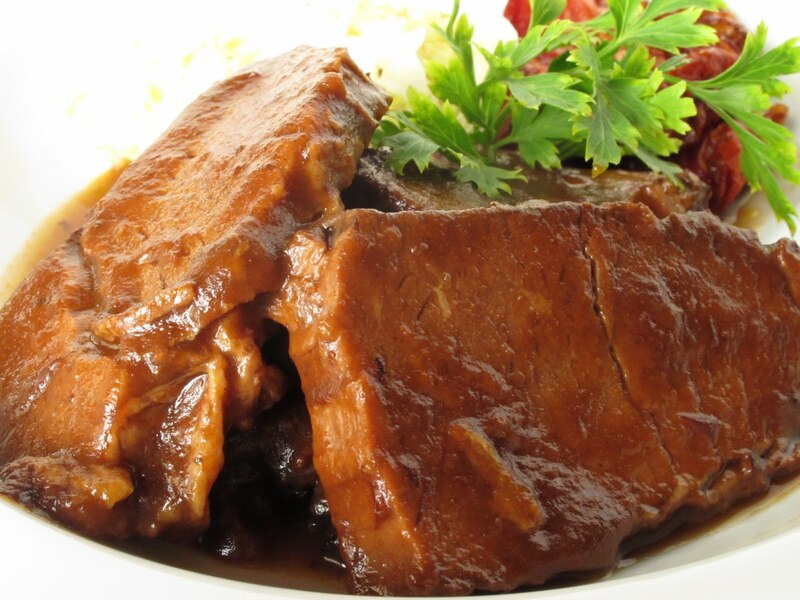 If you want to serve the meat shredded, however, it's not necessary to do it a day ahead. This week the Vegans came to dinner, and I made a vegan meal. We've known the Vegans for a very long time. In fact, my husband has known Mrs. Vegan longer than he's known me. It's good that they have so much history, because, in general, my extremely carnivorous husband (I was going to write "omnivorous," but it wouldn't have been accurate - he'll touch neither avocado nor zucchini) has little patience for the whole vegan thing. Especially when it means his own dinner will be meat-free as well. We've always been a protein-plus-two-vegetables sort of family - not sure whether that's because of habit or matters of taste. I try to make meat-free dinners once or twice a week: rice and beans, maybe quesadillas. While I'm happy and the kids don't complain, meat-free dinners clearly do not satisfy Michael. I know this because an hour later, two hours tops, he's in the refrigerator. It's not my strong suit, the meat-free, dairy-free, egg-free menu planning, but I did okay: crudites with white bean and basil dip (I used fresh basil solo instead of prepared pesto to keep it vegan and added a few capers for zing); oven-roasted tomatoes, which we ate with our fingers standing at the counter; fresh corn tortillas with zucchini flowers (like the ones on Girl + Fire, breathtakingly beautiful); a salad; and a very satisfying chickpea curry with coconut milk, served over brown rice. Mr. and Mrs. Vegan were happy. I was happy. The kids were happy (although some of them had grilled cheese - the curry was a little spicy). And Michael - well, after the Vegans left, he was in the refrigerator. Some things never change. 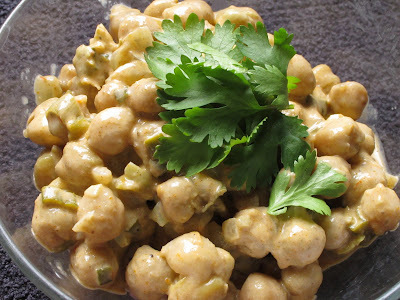 The garbanzo curry was extremely simple to make. 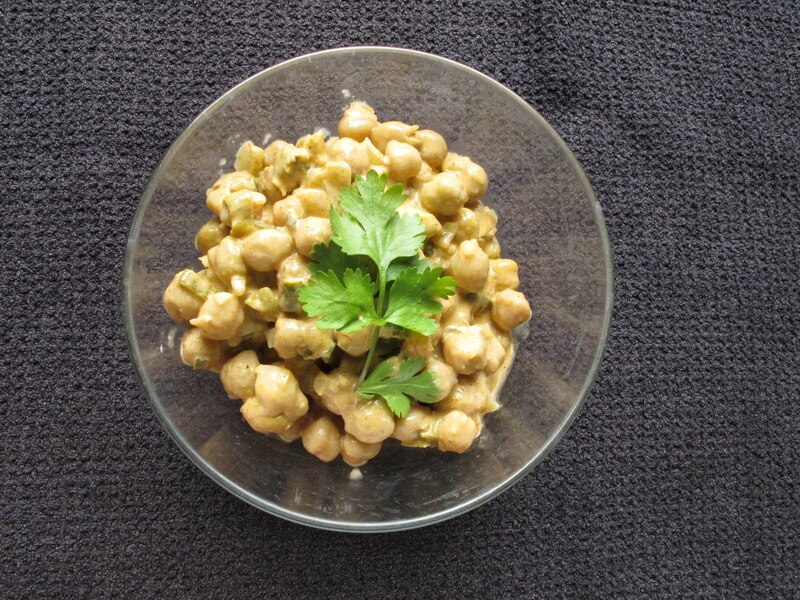 One shortcut: I used a prepared Indian green masala paste. They're available in jars in Indian markets, if you've got one in your area. 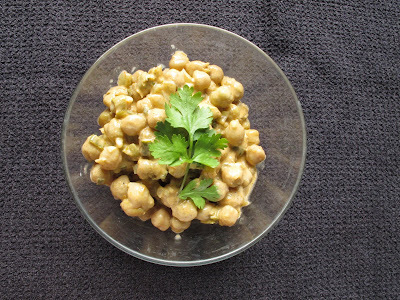 If you can't find it and prefer to make your own, I found a good-looking recipe on Asian Online Recipes (green masala paste recipe). Green masala relies heavily on cilantro and mint, so the curry has a nice, fresh flavor that works well with the coconut milk. Heat the olive oil in a medium-sized pot over medium heat. Add the onion and saute gently until it is translucent, about four minutes; do not let the onion brown. Add the garlic, cook for a minute, then add the tomato paste. Stir until everything in the pot is coated with the tomato paste and cook for a minute more; this will start to caramelize the tomato paste and will add depth to the finished dish. Now add the green masala paste and coconut milk to the pot; stir to dissolve the tomato paste and masala spices in the coconut milk. Add the chickpeas and green onions, bring the pot to a boil, turn the heat way down, and simmer about 15 minutes, uncovered. If the pot looks too dry, add some water. 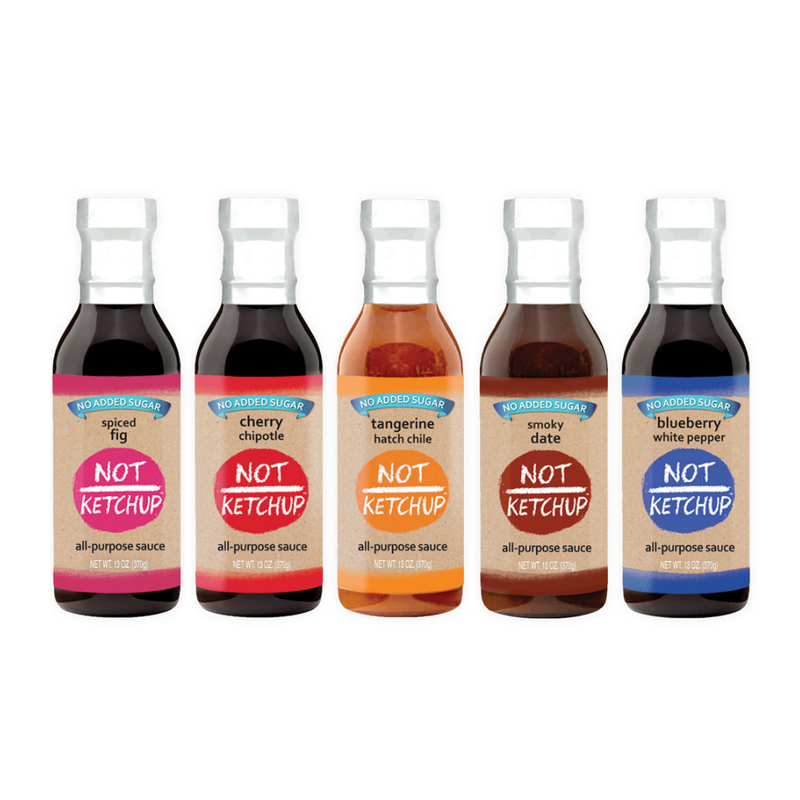 You want sauce - slightly thickened, but definitely there. Season to taste with salt and garnish with cilantro. Serve over rice. If you have leftovers, no worries - they're even better the next day.